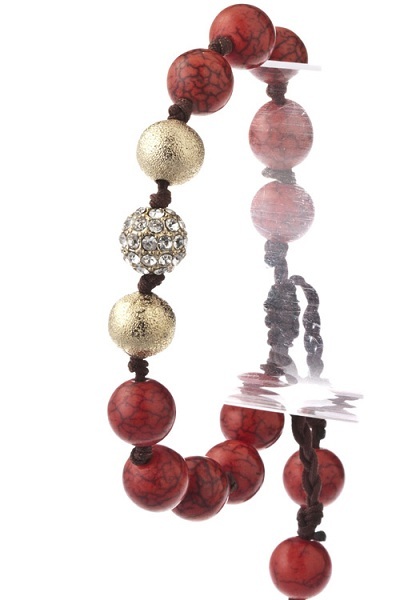 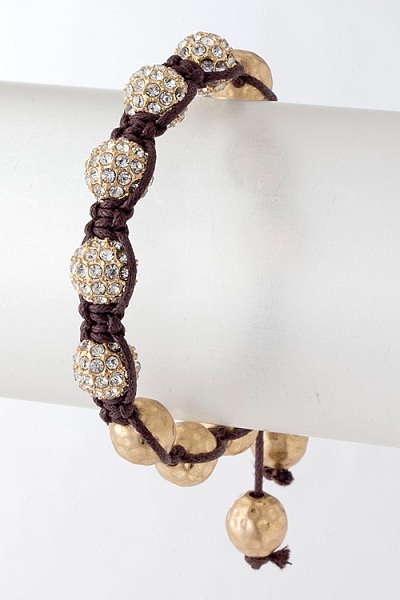 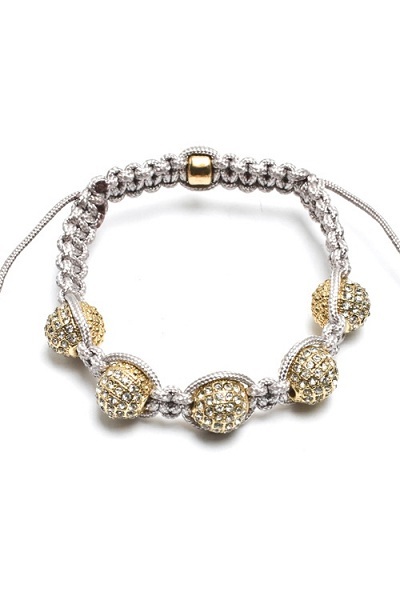 5 Jewel ball beads and hammered beads Shamballa-style bracelet represents ancient Buddhist ideals of balance, peace & love. 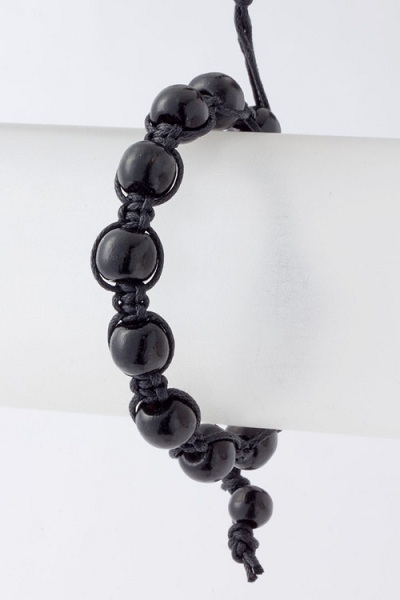 Adjustable knot. 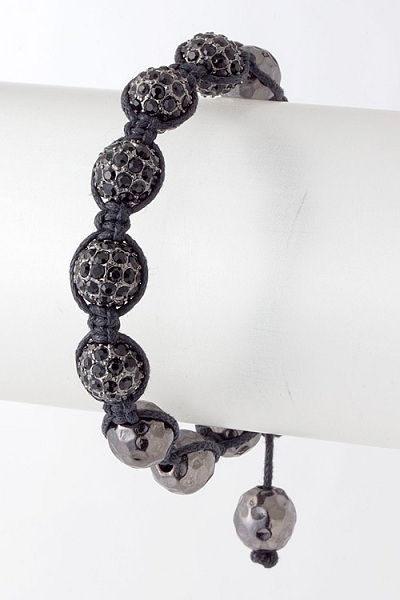 Available in Black Cord/Hematite Beads only (shown left). 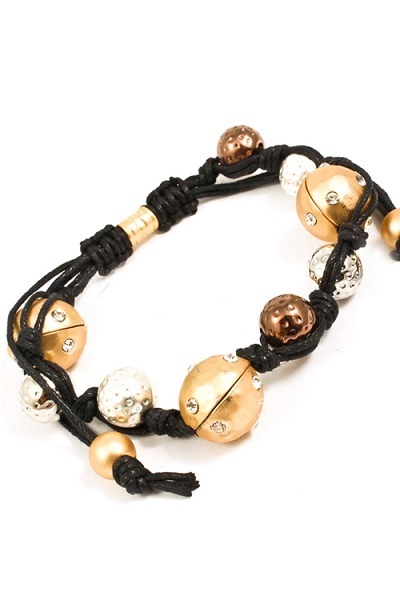 Brown Cord/Gold Beads, Copper Cord/Copper (Rose Gold) Beads and Gray (Grey) Cord/Silver Beads are SOLD OUT.